Analysing Chinese student mobility patterns over the past two decades reveals impressive statistics. Currently, Chinese students are the most mobile students in higher education. Twenty per cent of all international students, or every tenth international higher education student, originates from China. According to the Chinese Ministry of Education, 459,000 Chinese students studied abroad last year, an 11 per cent increase over the previous year. The leading destinations are the US, the UK, Australia, Japan and France. In 2008, some 28,000 Chinese students enrolled in colleges and universities in the UK. By 2013, the figure was 62,000. About a third (31 per cent) of all international students studying in colleges and universities in the US are Chinese (274,439). There are 91,089 Chinese students enrolled in Australian schools, and 94,399 Chinese students enrolled in Japanese colleges and universities last year. A review of China’s economic accomplishments over the past 40 years will help to illuminate some of the reasons why Chinese families want to send their children abroad, and why many families have the ability to pay for that educational experience. The number of Chinese households earning more than $35,000 has risen from 6 million to more than 27 million over the past decade. The Chinese military will soon discharge about 300,000 men. State-owned companies have been ordered to reserve 5 per cent of their vacancies for the discharged soldiers, exacerbating China’s unemployment problem. Environmental disasters, polluted rivers and streams, toxic air and the devaluing of the yuan have all contributed to the perception that the central government is ill equipped to manage the turbulent times and navigate the country out of a dysfunctional financial system. So what will this mean for the future enrolment of Chinese students in international colleges and universities? I don’t think it is an oversimplification to state that no one really knows. Surely we can all agree that the Chinese economy is not on the verge of collapse, and that its slowdown is manageable. Likewise, I think we can all agree that the Chinese economy is caught between a market-driven and a state-controlled system. The old growth model, based on manufacturing and rural labour, has probably run its course. Trading partners around the world, and especially in Africa, are questioning the reliability of the Chinese “brand”. What are the implications of the Chinese slowdown for future student recruitment programmes? There are already signs that the sector is changing. In 2014, the enrolment of Chinese students in US graduate programmes fell by 1 per cent. This was the first decrease since 2004. Last year, 25,000 Chinese high school students enrolled in US high schools, a 30 per cent increase over the previous year and an indication that many wealthy Chinese families are sending their children abroad at an earlier age. The largest group of overseas home buyers are Chinese families, another indication of wealth transfer. The agent system in China is changing. 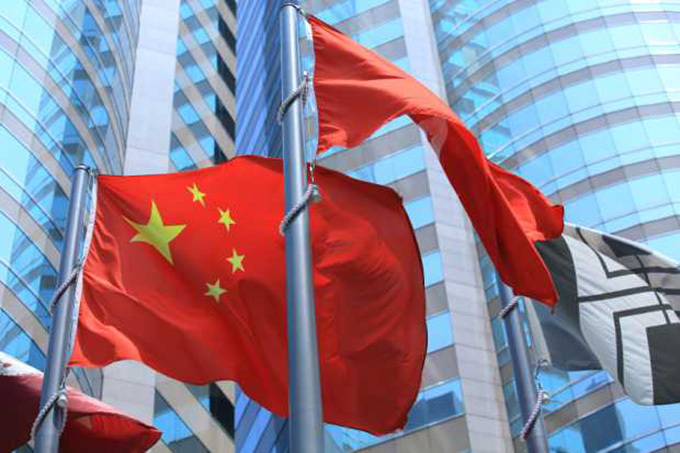 China is tightening the licensing requirements for China-based agents. According to Terry Crawford’s article in The Atlantic, more and more Chinese students are opting out of the gao kao, China’s national higher education entrance examination, and enrolling in test prep centres to study and prepare for international university entrance exams. In the future, how should college and university international recruiters plan for enrolling Chinese students? Make employability and employment outcomes a central component of all future marketing and recruitment plans. Information from the Destinations of Leavers from Higher Education survey in the UK, the National Association of Colleges and Employers in the US and the Australian Graduate Survey can provide the data that you need to present meaningful information to prospective Chinese families. The future Chinese student market is not over. But it has already changed.